TVS Motor Company has launched its new performance bike, Apache RTR-180cc under the company's flagship Apache RTR brand name with the increased displacement to 180cc sporting some sizzling additional features. The new additions are the front and rear petal disc brakes, which are also seen on the fuel-injected version of the RTR 160, new graphics and appealing new colors like the pearl white. This new bike from TVS will definitely prove a strong contender in the midst of finicky competition prevalent in the present market. Based on the earlier Apache RTR 160, the company claims that the Apache RTR 180 is pegged at the same weight as its predecessor at 137 kg. The larger engine now churns out a peak power of 17.3 bhp at a high-revving 8500 rpm, and the peak torque of 15.5Nm kicks in at 6500 rpm. The new RTR shares the similar chassis and suspension set up to the RTR 160, with gas-charged shock absorbers at the rear. The bike has a top speed of 125 kmph and goes from 0 to 60 kmph in just 4.15 seconds. New Apache RTR-180 has sporty and chiseled looks complemented by the unmatched power-packed superior engine technology. This takes the bike to a different league endorsing itself a leader in the realm of acceleration, performance, styling, handling and stability. The ergonomically-designed rear set aluminum foot pegs, adjustable split handlebars and sculpted seat all ensure exceptional control and maneuverability of the bike. The bike boasts of a digital console with service due reminder, clock, dual trip meter. The adjustable clip on handlebar adds to the contemporary look of the bike and mono tube inverted gas-filled shock is the new age feature. The titanium black engine with the cover, LED tail lamp, new turn signal lamps, race crouch mirrors, new rear fender and a slick silencer give the bike a great sporty appeal. Instant acceleration integrates with the aerodynamic design to give a brilliant power-weight ratio that increases the motorcycle's performance and handling abilities. Weighing 137 kg, the bike is designed for optimal performance on turmac; in-sharp turns, and while navigating urban obstacles. It rides with spongy feedback from both the front and rear end. With its sharp tyres and amazing performance, it can easily snake through the busy city roads and can zoom on the deserted highway. This bike is the passion for every youngster which is worth possessing and flaunting. Apache RTR-180 offers a decent mileage of 40 km/l in city and about 50 km/l while driving on the highway. 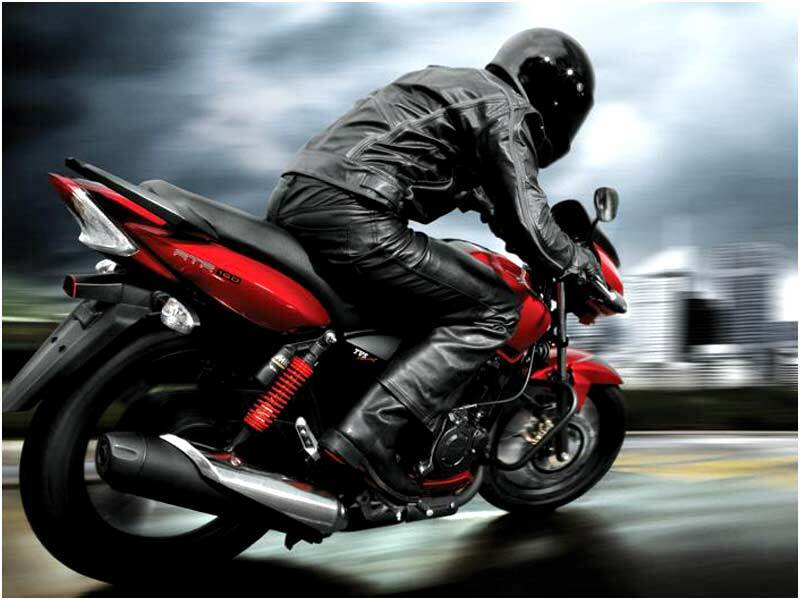 Keping in mind the desire of bike lovers, TVS motor introduced Apache RTR 180 for power packed performance. 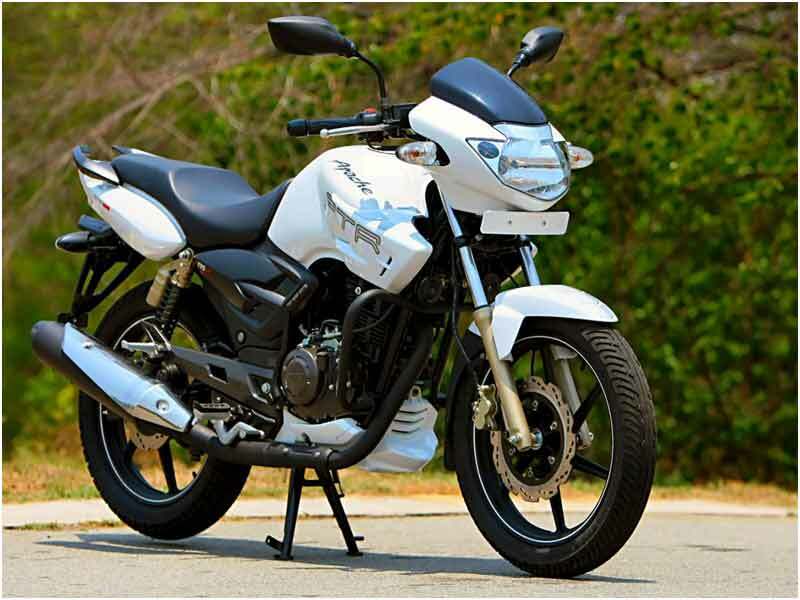 The sporty bike gives an average mileage of 50-55 kmpl. Priced at Rs 63,900 in ex-showroom Delhi, the TVS Apache RTR 180 is equipped with both electric and kick-start and comes in three stunning colours: Pearl White, Titanium Grey, Yellow and Black.